PALATKA – Ever paddled the historic waters of the St. Johns River? Have you ever seen the threatened gopher tortoise? Come experience these amazing outdoor recreational opportunities and so much more at the 2nd annual Putnam County Earth Day Celebration, April 22 from 10 a.m. to 5 p.m., at Dunns Creek State Park. The park is located 15 miles south of Palatka, on Sisco Road, off US 17 in Pomona Park. Celebrate the Earth with live music and entertainment; wildlife and nature tours; crafts, plants, and gifts by local vendors; camping; kayaking; hiking; treats; children’s activities and much more! There will also be free eco-presentations by a variety of impressive environmental organizations, such as, Keep Putnam Beautiful, Paddle Florida, Florida Fish and Wildlife Conservation Commission, St. Johns River Keeper, Florida Park Service, and more. Food by Hawg Wash Championship BBQ and Hideaway Café will be available for purchase. Take the opportunity to explore the 6,300 acres of natural communities at the park! Event admission is free for annual pass holders and with regular park entry fees: Park entry fees are $5 per vehicle for two to eight people, $4 for single occupant vehicles, and $2 for pedestrians and bicyclists. Camping at Dunns Creek is only available during Special events, so claim your spot for Friday, April 21 and Saturday, April 22! Primitive camping only. Register for this and other activities during the event (such as kayaking) on the event registration page at, www.PutnamEarthDayCelebration.eventbrite.com. 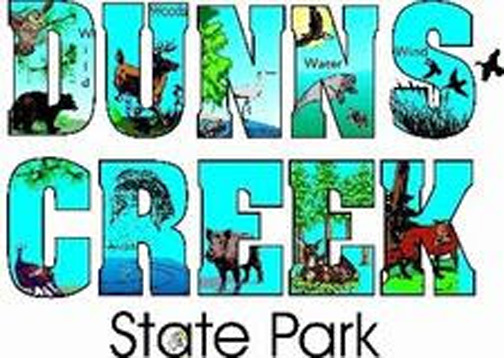 Proceeds from the event are used by the Friends of Dunns Creek State Park, a Citizen Support Organization (CSO), to assist in the maintenance and improvement of the Park. Hosted by, Florida Department of Environmental Protection’s Dunns Creek State Park and The Friends of Dunns Creek State Park.